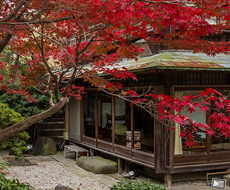 Kyoto Gaden Ryokan Yachiyo/Kyoto Inn,Hotel is Located next to the historic Nanzen-ji Temple, the Kyoto Garden Ryokan Yachiyo features chic Japanese-style rooms and large public baths. It is surrounded by beautiful Japanese gardens, which change their colors each season. Free Wi-Fi is provided in the entire area. 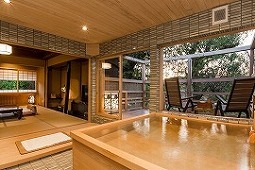 With a relaxing atmosphere, the rooms are fitted with tatami (woven-straw) floors and futon beds. A flat-screen TV is provided. Some rooms have views of the grounds and some include a private garden bathroom. 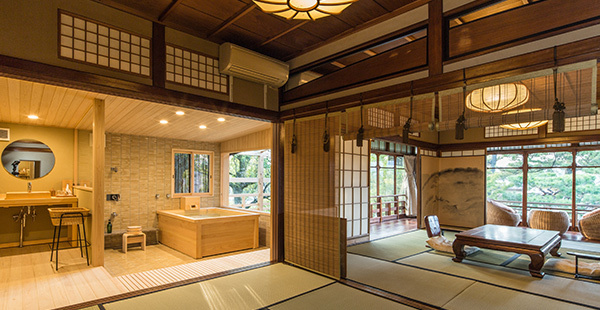 Guests at Yachiyo Garden Ryokan can unwind in the public baths or relax in the lounge which has free internet PCs. Massages can be requested for an extra fee, and a free luggage storage service is available. A gift shop is available on site. JR Kyoto Station is about a 25-minute drive or taxi ride away. Eikando and Heian Jingu Shrine can be reached within a 10-minute walk from the property. Famous Kiyomizu-dera Temple is a 15-minute taxi ride away. 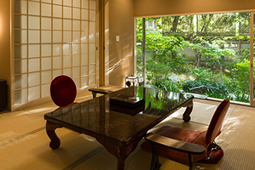 The on-site restaurant overlooking the gardens serves delicately-prepared traditional Japanese meals. Vegetarian multi-course meals are available, and other requests can be accommodated. 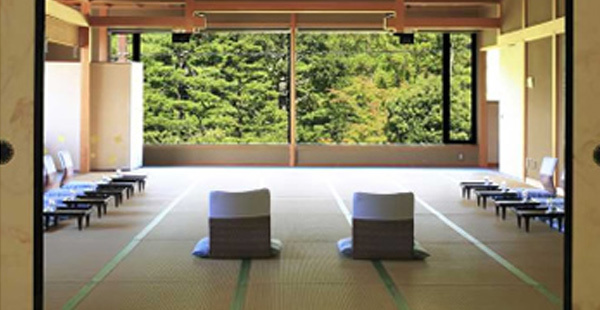 Sakyo Ward is a great choice for travelers interested in scenery, temples and culture. Q. What time is your check-in time and check-out time? A. Our check-in time is 3:00pm and check-out time is 11:00am. A. Yes, we can mind your luggage before your check in and after check out. Q. 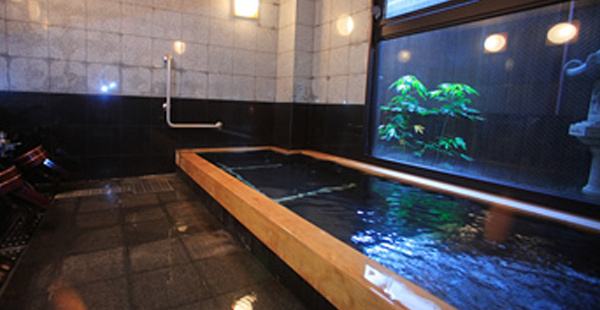 Is the public bath a hot spring and what are the operating hours? A. 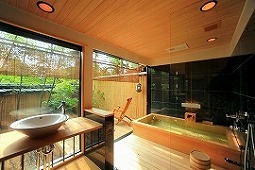 It is not hot spring, though our Onsen style public bath is big and very comfortable. It is open in the morning from 7:00am - 10:00am an from 3:00pm - 11:00pm. If your not sure of public bath protocol ask our friendly staff or see the English explanation in the Onsen style public bathroom. Q. Are the prices listed per person or per room? 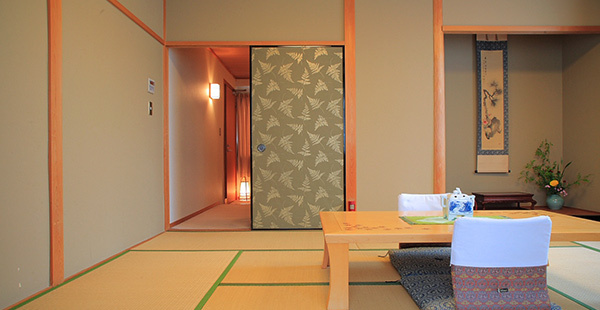 A.The prices listed for ryokan Yachiyo are per person. By default, room prices will be listed as per night for two guests in one room. If you specify a different number of guests, the price will be automatically updated to reflect the total price for the room per night for the number of guests specified. Q. What fees and taxes are included in the prices? A.Our prices include the following fees and taxes:Room charge Hotel service charges Meal charge, if you choose to make a reservation including meals Consumption tax. Q. Do you accept credit cards ? A. Yes, though credit card payment is not accepted for telephone charges, massage or home delivery cost. Q. Do you need credit information for making reservation ? A. Yes, we need it. Q. Where do you serve meals? A. We usually serve dinner or breakfast in the garden resutaurant, located on the 1st floor. Please note, In Room Dining (Room Service) per person add 2484JPN. Q. What is for the dinner and breakfast? A. The course of a KAISEKI is cooked among 8 to 12dishes. The number of plates is decide dy feeling of a season,foods,or chief.Kaiseki can be chosen through an economy course, a standard course, and a deluxe course. The time of the dinner can be chosen from the time of onset at PM17:00,17:30,18:00,18:30,19:00,19:30.The room staff asks you the time of dinner. Please note, all breakfasts are served at our WASHOKU Garden Restaurant.The time of the bearkfast can be chosen from the time of onset at AM 7:30,8:00,8:30,9:00. The room staff asks you the time of breakfast. 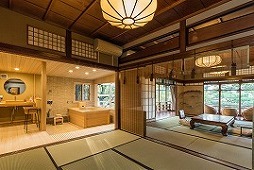 Q. Bedmaking, About the bed in the Ryokan.There is a bed in the room? A. 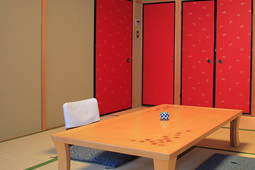 In a washitsu (tatami-mat room), futon, Japanese-style mattresses and bedding are spread out over the tatami mats. Guests often say just how well they sleep on the futon of the ryokan, perhaps because of the well-starched sheets and pillow covers.The room staff does bedmaking between 15:00 and 21:00. Moreover, while you are enjoying supper at the restaurant,bedmaking is carried out when out..Supposing you need bedding, please telephone a front always. Q. When the stay of two night stays or more is hoped, are the change in the course of the dinner and the cancellation of dinner and breakfast possible? A.Yes, it is possible. Please tell the reception desk the change or the cancellation of dinner and breakfast by the day before. The course of the dinner is changed every day. 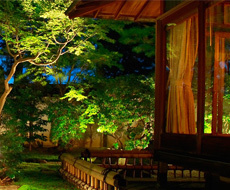 ryokan..a variety of..Japanese food..sukiyaki..yakitori..sushi..experience..Kyoto..first-class restaurant. Q. Can you cook dinner without any meat and fish? A. Yes, corresponding to an overseas visitor. (Lacto-ovo vegetarianism,Lacto vegetarianism,Ovo vegetarianism,Veganism)The breakfast can choose Japanese-style breakfast and Western-style breakfast. Q. 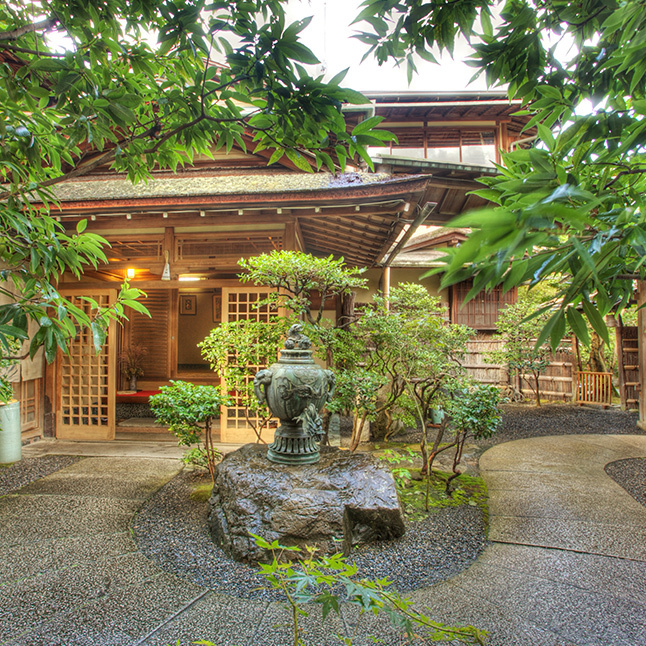 What will it be a landmark close to your Ryokan? A. You will find the entrance of the approach lane leading to Nanzenji Temple.Ryokan Yachiyo is just on the right side of the lane. Q. What amenities will be in my room? A. All rooms have air con,TV and a hair dryer. The bathroom has a toothbrush, toothpaste, soap, shampoo, conditioner and a Yukata (Japanese Robe). Q. Is there a washing machine ? A.The cleaning is served. It is from 100JPN YEN a piece. A. We have always been waiting for 24 hours. Q. Do you have non-smoking room? A. It has the no smoking room. Please contact me beforehand. Renovated ! The "HONKAN" main building, KIKU,TAKE,MATSU,TSURUKAME,UKIFUNE,HORAI. The "HONKAN" main building built in 1890. 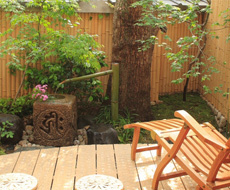 We renovated our 6rooms to expand the onsen style Bathroom by the garden side. 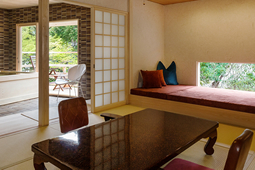 Feel free to visit our Japanese culinary art and culture and new garden room and enjoy being in cool Japan!! 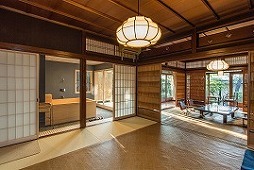 After walking along a quaint, long wooden passageway, you will reach a traditional space designed in the modern Japanese style. Wide, spacious spaces are provided by the lounge and required for the elevator, it is comfortable place and even accessible for elderly people. 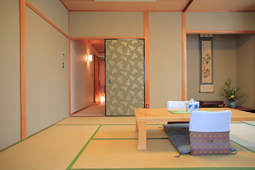 Guestrooms at the "SHINKAN" new building (second floor) are of 12.5 TATAMI size room. The rooms are located in the center of the building, so you can relax and enjoy your experience. No garden view. Yukata (Kimono like bathrobe), hot water and Green tea. and Matsueido incense (a leading brand of Japanese incense) is provided at the front desk. The surrounding area of The "HONKAN" main building is abundant with trees and has water drawn from Lake Biwako, and is completely in harmony with nature. The seasonal beauty of the countryside has to be witnessed and is quite spectacular. 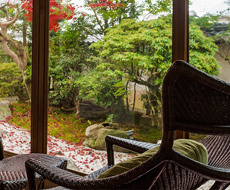 The added feature is that the beautifully landscaped gardens surrounding the Kyoto Garden Ryokan Yachiyo were designed by Jihei Ogawa. The garden does the lighting every evening. The night view is beautiful. 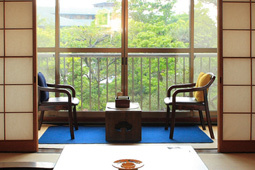 You can enjoy the Yachiyo's historical furnishings and the Tsuboniwa in the lounge. Since Yachiyo supports the family trip, we also lend toys and DVD for children. •Main ballroom takes up to100 people.•2 Junior Ballrooms. •Wedding Planning. On the second floor there is a large hall "Higashiyama" "Heian", please enjoy an important gathering such as an alumni association, a ceremonial event, a legal affair, etc. 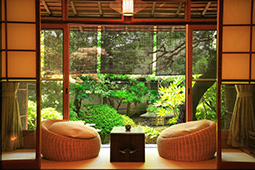 Please enjoy Kyoto cuisine in the private garden private room. 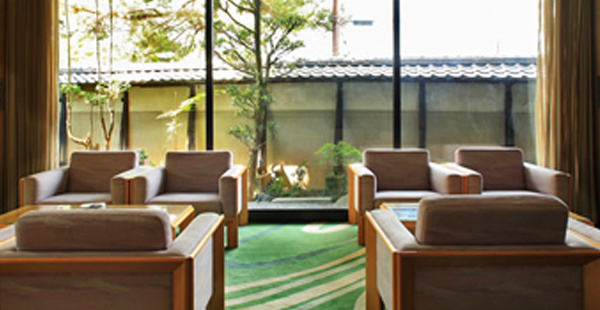 Kyoto Garden Ryokan Yachiyo offer Stay and varieties of banquet halls and meeting rooms for meetings, incentive events, convension, conferences, exhibition, and banquet parties. MICE stands for Meeting (corporate conferences), Incentive (corporate training and incentive travel), Convention (by international organizations and academic groups) and Event/Exhibition (including exhibitions and trade shows). It is a shorthand for business events that entail a large convergence of people. 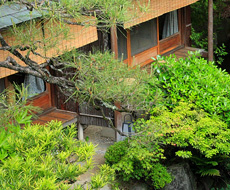 Stay connected at Kyoto Garden Ryokan Yachiyo with fast and reliable Internet service. See below for type of access and availability. High-speed internet - wireless and Apple TV.Traditional Japanese Suite Room and Traditional Japanese Deluxe Room-AirMac Extreme and Apple TV. It's gonna be fun if you go to some tourist spots with bycycle which gives you heaps of discovery that you can not be taken by bus or train. Kyoto has been set out neatly in a grid, it is very easy to understand when you are used to even though you may be lost at first.We will tell you about some places we recommend if you want. All reservations are that first come first served.You need to make reservation to borrow bicycle at the reception desk. The service is free on the first day of your stay. From the second day, it costs 525JPY.